According to legend, the Nabau was a terrifying snake more than 100ft in length and with a dragon’s head and seven nostrils. 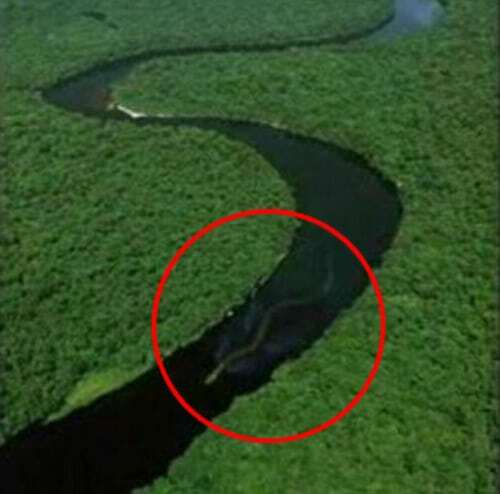 But now local villagers living along the Baleh river in Borneo believe the mythical creature has returned after this photo of a gigantic snake swimming along the remote waterways has emerged. 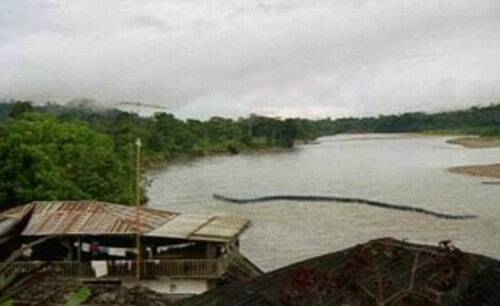 The picture, taken by a member of a disaster team monitoring flood regions by helicopter, has sparked a huge debate about whether the photos are genuine or merely the work of photo-editing software.